Just around their first birthday, most kids develop separation anxiety. It’s different for every kid, but, in general, it means that children get upset when a parent wants to leave them with someone else. This is a completely natural part of early childhood, but it doesn’t make it any less troubling! If their needs are being met, most babies younger than six months have no problem being around other people. But between four and seven months, babies develop the notion of object permanence. Therefore, they begin to understand that things and people exist even when they are out of sight. That’s when your baby begins to realize that when he can’t see you, it means you have decided to go away. Since babies don’t understand the concept of time, they don’t know if or when you’ll return and it makes them rather uneasy. Understanding what your child is going through and having a strategy to deal with it can help you both. Here are some tips to help you and your baby get through separation anxiety. Cover basic needs first. Saying goodbye will be worse if your baby is hungry, tired, or feeling ill.
Say quick good-byes. This will help the transition, if you linger and extend the moment, so will the anxiety. Establish a routine. Try to say the same good-byes each day to build consistency and your baby’s understanding of what is happening. Build trust. Keep your promises. Be back by the time you say you will in order to keep your baby’s trust and avoid future setbacks. Practice being apart. Give your child a chance to thrive in your absence. Send him to grandma’s home or organize a play date! Are you my mother? by P.D. Eastman is a great book for toddlers! 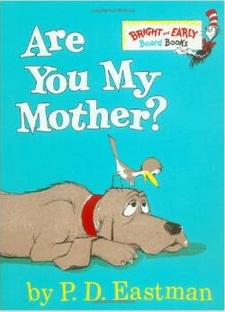 This classic tells the story of a baby bird that is searching for his mother, asking everyone around him if they are his mother. By the end, he is happily reunited with his real mom! 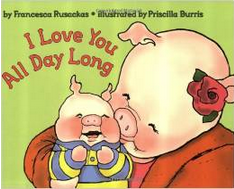 I love you all day long by Francesca Rusackas is especially helpful to get your little one prepared for the first day of school, but it can easily be applied to all situations! This story will remind your child that even if you are apart, you still love him all day long. Do you have book recommendations of your own? Please share them by writing a comment below! Keep coming back for more information about the perks of reading to your child and suitable book suggestions! Understanding what your child is going through and having a strategy to deal with it can help both of you. Our Christmas themed activities are here!